The Golden Heart is an award put on by the Romance Writers of America to acknowledge outstanding manuscripts that have not been published. Many Golden Heart finalists end up selling their manuscripts to publishers as a result of the exposure from the contest. 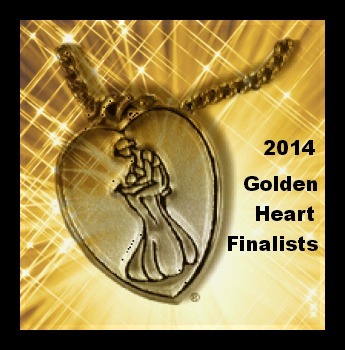 To learn more about the specifics of the contest click over to the Golden Heart Award page. There were a few writers that I could not find twitter information on. If anyone knows their twitter handle could you contact me or let them know about this post and have them contact me themselves. Thanks! This entry was posted in Best Sellers/ Award Winners and tagged 2014 Golden Heart Finalists, Abbie Roads, Amy DeLuca, Asa Maria Bradley, Barbara Gerry, Carrie Padgett, Charis Calhoon, Connie Taxdal, Darla G. Denton, Deborah Wilding, Denny S. Bryce, Ellen Lindseth, Golden Heart Award, Jessica Ruddick, Jillian Lar, Julie Mulhern, k Gwynlyn MacKenzie, Kimberly MacCarron, Kristi Ann Hunter, Laura Trentham, Lee Kilraine, Lenora Bell, Marnee Bailey, Marni Folsom, McCall Hoyle, Nan Dixon, Pintip Dunn, Piper Huguley, Romance Writers of America, RWA, Sara Tompkins, Sarah Andre, Sarah Cannon, Sharon Wray, Shelly C. Alexander, Shelly Chalmers, Sheri Humphreys, Stephanie Winkelhake, Suzanne Kaufman Kalb, Vanessa Barneveld. Bookmark the permalink. so this link doesn’t work anymore. Sorry!